It’s not just large companies that want to compete internationally these days. Many small and medium sized businesses are eager to sell and impact clients in overseas markets. Many businesses want to put their website into Google Translate and run the exact same online advertising campaigns in all countries. However, it is important to realise that international advertising to consumers requires adjusting to local consumer and market preferences and habits. The first thing to consider when advertising your products or services to consumers in other countries is if your current messaging and copies work for that local population. We highly recommend localising your content, and also making creative adjustments as needed to connect with local prospects. There are many examples of global advertising and marketing initiatives that have failed due to a lack of cultural sensitivity, poor translations or simply not “getting” the way people see things in a particular country or market. Ford India creating a tasteless advert showing Italian politician Silvio Berlusconi with several bound women in the boot of a car. In China, global advertisers have made many errors: Coca-Cola initially having its name translated as “Tadpoles Bite Wax” or when Mercedes-Benz first launched in China under the name Bensi, meaning “Rush to Die”. Mistakes can even occur in your home country: Tesco in the UK tried to celebrate Ramadan by encouraging Muslim customers to purchase bacon-flavoured Pringles, and consumers were not pleased. Snapchat, depends on the country: For several years the little darling of social networks in the media, due to a high numbers of young users, but Snapchat has suffered somewhat since going public, with stagnation in user numbers. Frequently, we run into European clients who want to run international advertising campaigns in Snapchat. 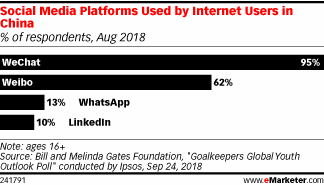 It’s important to first check that 1) the target market is actually using the platform, as it is much more popular in the U.S. and Canada than other countries 2) that in your target market the age cohort you want to impact is using Snapchat. 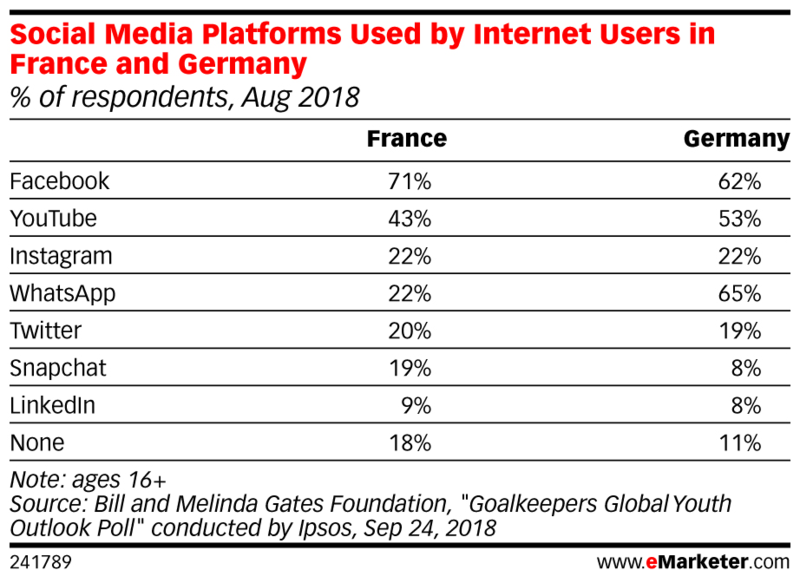 International search marketing can mean more than Google: Certainly in many countries, Google rules the roost when it comes to PPC search campaigns and organic rankings. In countries like Spain, Google dominates with 98% of market share, but this is not true everywhere! For example, in China there are several search competitors, Baidu being the most popular, and Yandex, a very strong contender in Russia or Naver in South Korea. In the U.S., Bing/Yahoo have over 30% of market share, so it is always a good idea to include Bing in any search advertising campaigns. Instagram is widely used in the U.S., Brazil and India, and all three countries are also heavy Facebook users. Facebook is also very popular in Indonesia, Turkey and Philippines. In the case of Twitter, the microblogging site is very popular in Japan and Saudi Arabia. These trends change overtime: part of your planning should be to periodically check the usage statistics of the different social networks, delving into country usage, gender and age groups to be sure that your international social ads are on the right track. Local influence can mean global reach: part of your online strategy and international advertising approach may include influencers. These are bloggers, vloggers and social profiles of people who are subject experts or aspirational lifestyle references in their home countries. Don’t be intimidated by the idea of working with local influencers if a certain market is key for your business. You may be surprised to learn that your dream influencer may be based out of an important market you are targeting. Foodie influencers in Asia, Fashionistas in Nigeria or athletes in Scandinavia— a bit of research can go along way to determining who could potentially help your brand thrive in a new market! When considering your international advertising strategy, remember to focus on key markets, make sure your digital advertising is respectful, engaging and relevant, and pursue the channels that will ensure the greatest success for your business. If you need help with international campaigns, don’t hesitate to contact us!